The Democratic presidential primary is upon us, and it is a crowded field, to say the least. There is a wider variety of candidates in this primary than in any other in recent memory. And with a wide variety of candidates comes a wide variety of views. Some of the candidates will almost certainly have those views and opinions used against them. Sen. Cory Booker will be one of those candidates. Booker is a supporter of school choice and ed reform in general. This does not make him especially unique among Democrats. 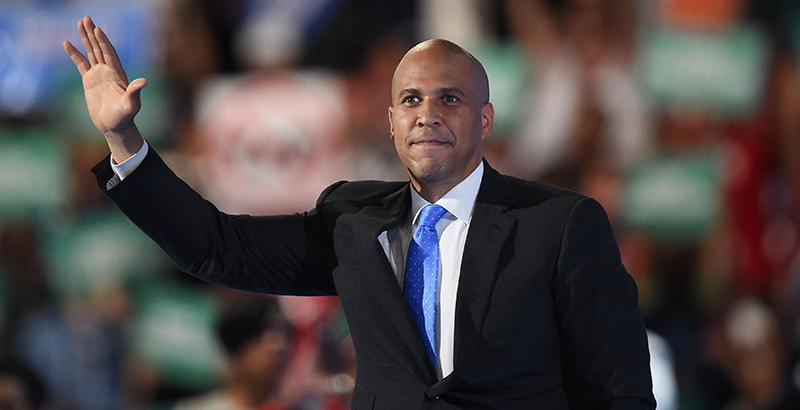 However, Booker has also been perceived as an ally of U.S. Education Secretary Betsy DeVos, which makes him more of a target for anti-reform traditionalists. At first glance, it would appear that Booker would be better off renouncing or avoiding his school choice beliefs as other candidates have done with their unpopular opinions. But in this case, the opposite is actually true. Booker’s school choice platform admittedly may be a problem for him in the upcoming debate, but ultimately, he is on the winning side of this clash. Other Democrats would be better off embracing school choice because in less than a decade, that is where the party will be, and in many ways, it’s where the party already is. For all of the Democratic-led backlash and curtailing of charter schools we have seen in recent years in places like New York and Chicago, by and large, Democrats have been supportive of school choice. Both the Clinton and Obama administrations have supported charter schools, and teachers unions were no less opposed to them then than they are now. It is actually one of the few things that has brought the left and the right together. It has recently become politically expedient to attack school choice due to the activism of traditional public school teachers and the rhetoric of various organizations, but many progressives have always supported charter schools. Though some states and cities are trying to scale back or put a cap on the number of charter schools they allow, the concept of school choice as a whole is spreading. The number of charter schools has grown nationwide and has even spread to states that hadn’t previously allowed them. Several politicians have recently called for a voucher system in their states. As charter schools and voucher policies spread, they become less foreign to people, which takes away one of the biggest reasons people oppose school choice: fear of change. Even states that are pushing back against charters, such as California and New York, still opened more charter schools than they closed last year. As charter schools spread by both number and area, the number of people who are positively affected by them increases as well. The estimated number of charter school students for the 2017-18 school year is around 3.2 million. That number, combined with the number of students who have already matriculated through charters, points to a sizable base of school choice beneficiaries in the near future — and they’re not likely to be anti-charter. Moreover, they are concentrated in areas that are on the front lines of today’s charter school debate. California has an estimated 630,000 charter school students. That is a lot of pro-charter students and parents, and that doesn’t even include alumni. That is a sizable bloc of potential advocates and voters for California’s anti-charter faction to contend with in the future. Much has been made about the supposedly negative impact school choice has on black and brown students. However, for all the complaints from the vocal opponents carrying this narrative, minorities are, by and large, pro-charter. A poll from Education Next found that only 26 percent of blacks oppose charter schools. That figure was slightly larger for Hispanics, at 33 percent. The opposition figures were even lower for tax-credit scholarships and vouchers. So, what was the largest source of opposition found in the poll? You guessed it, teachers. So even though the NAACP has called for a moratorium on charter schools, the actual people of color they represent don’t seem to agree. Given that people of color are an indispensable bloc of voters for Democrats, it’s hard to imagine a scenario where they don’t eventually come around to reality and support charters. Much of this article centers on the battles around school choice at the state level, which makes sense given the fact that that’s where most education decisions are made. But that doesn’t preclude federal laws around school choice from being created. To that end, many insiders view tax credit scholarship legislation as inevitable. That could be just the tip of the iceberg, given the fact that the current presidential administration is very pro-school choice. I have worked in a charter school for eight years. The students and families in the inner-city neighborhood my school serves have the option of several traditional public schools in the area, some of which are probably more convenient to attend. Yet they seek out my school and other successful charter schools in the area because they don’t feel that traditional options are acceptable. In spite of the local anti-charter rhetoric, students are not being pushed out of their traditional neighborhood schools … in many cases they are fleeing them. When parents sign up their students at my school, the first question we ask is what brought them to us. We would like to say that they rattle off the benefits and accomplishments of our model, but in all honesty, over the past eight years, our school hasn’t always been perceived as a good school, but it has always been perceived as a better option than the one our students would be mandated to attend otherwise. And that is the essence of school choice. For parents, this is not policy or philosophical decision. They don’t have that luxury. It is not hard to see how some politicians would shift back and forth on school choice leading up to an election after a year of teacher strikes. But the fact of the matter is that the school choice genie has already been let out of the bottle; systems and districts have already evolved around it. In many places, you couldn’t get rid of it if you wanted to. Therefore, school choice is more than likely here to stay. Everyone knows this whether they pay lip-service to school-choice opponents or not. When the dust from the strikes and election season settles, progressives will embrace school choice again as they once did before. Andrew Pillow is a fifth-grade social studies teacher at KIPP Indianapolis, a charter school where he has taught since 2011. He is also a former Teach Plus Policy Fellow who has taught about technology and social issues. Disclosure: The 74’s CEO, Stephen Cockrell, served as director of external support for the KIPP Foundation from 2015 to 2019. He played no part in the reporting or editing of this story. Andrew Pillow teaches social studies to grades 6 through 8 at KIPP Indianapolis, a charter school where he has taught since 2011. He is also a former Teach Plus Policy Fellow, who has taught about technology and social issues.